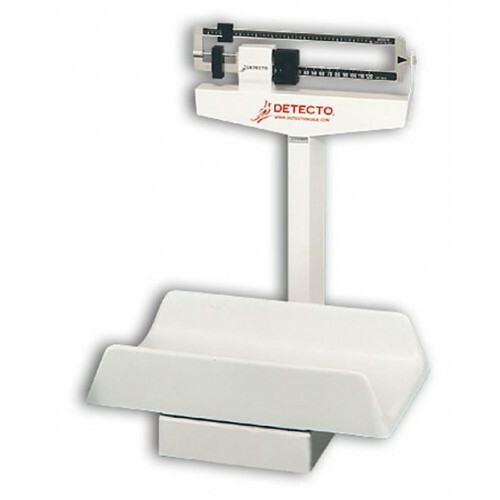 Mechanical Pediatric Scale with Tray, manufactured by Detecto in the United States, is an accurate, steel constructed mechanical baby scale. Depending upon your needs, you may select this scale in either English or Metric units, or both. 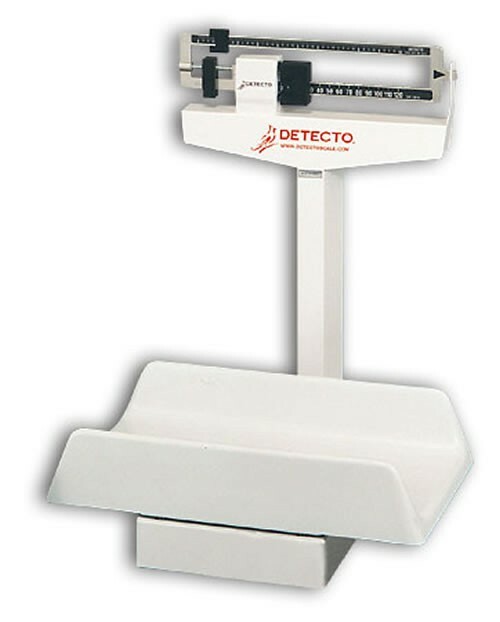 The weighbeam is readable from either side, which gives medical professionals and patients more freedom of space. To allow even more space, the tray is incredibly roomy. The material of which the tray is made is polystyrene, a sturdy and rigid plastic, that will safely cradle an infant. After weighing, the Digital Baby Scale's tray is incredibly easy to clean, especially with Sani-Cloth Germicidal Disposable Wipes. Featuring an integral measuring tape, a medical professional may also calculate an infant's height. In addition, this pediatric scale promotes patient safety by not requiring power, which will prevent accidental entanglements and promote a hassle-free environment. Available in English or Metric units. Readable from either side weighbeam. Product Numbers: 450, 451, 459. Capacity: 130 lb / 65kg / 40 lb and 17.5 kg. Tray Dimensions: 22"L x 14.75"W x 4.5"H / 56 L x 37 W x 11 H cm. Application: To measure weight and height.